How to use the Gun with smart prop accessories. How to use the Gun with characters. 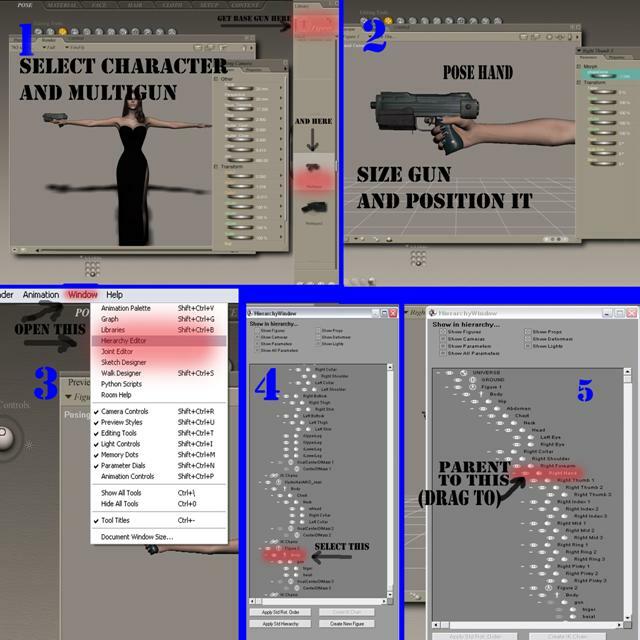 1: Select the Multigun from Figures. 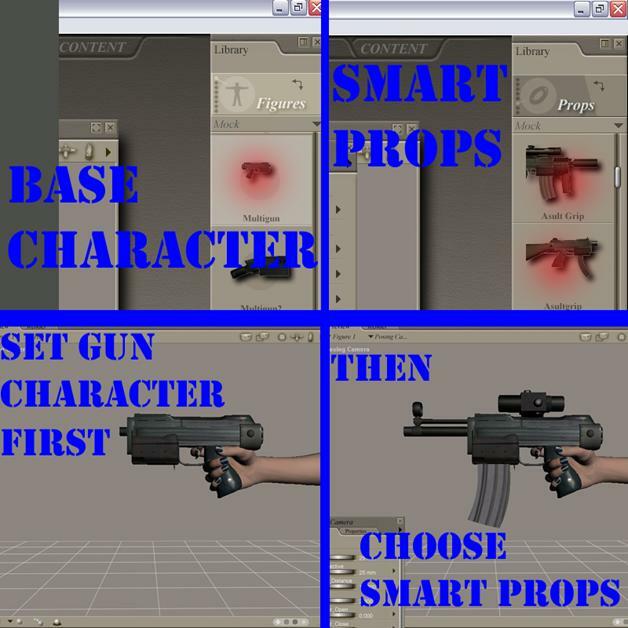 2: Go to Props and choose what accessories you want to use with the gun. 3: In most cases, for simple configurations, the props will go right where the need to go. 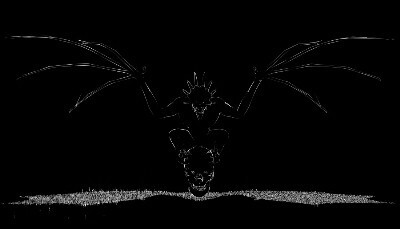 1: Select the character you wish to use.